3 September 1945. 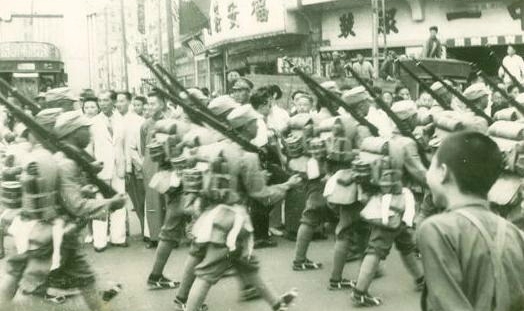 A ragged Nationalist Chinese army finally marches into Shanghai to be met by cheering crowds. Although the first U.S. troops entered the city on 19 August, the formal surrender of Japanese troops in Shanghai has been delayed until Chinese government troops could be airlifted in by the Americans from deep inside government-held territory. 3 September 1945. Learning of the cooperative attitude of the Malayan Communist Party, Lord Mountbatten’s Chief Political Advisor urges the British Colonial Office to quickly publicize British plans for a Malayan Union. This would replace the diffuse pre-war organization of Malaya and offer citizenship to long-term inhabitants of the territory regardless of their ethnic background. 3 September 1945. A small Franco–Lao force peacefully enters the Laotian capital, releasing French internees and seeking to force the submission of the viceroy, but Prince Phetsarath refuses to recognize the authority of the newly released French résident supérieur . The standoff between Vientiane and Luang Prabang continues. 3 September 1945. On the day of China’s national victory celebration, President Chiang Kai-shek calls for priority to be given to economic reconstruction, constitutional democracy and national unification after the war. At the same time, Mao meets Wang Shihchieh, the chief KMT representative in the ongoing Chungking negotiations, and stresses the CCP’s principles. 3 September 1945. President Osmeña authorizes the Philippine Solicitor-General to order the provisional release on bail of persons interned or detained by U.S. Army Forces in the Philippines but now being transferred to the Commonwealth government for trial. The first internees are released on the 6th. On the 11th, however, U.S. Secretary of the Interior Harold L. Ickes cables President Osmeña on the need to try all suspected collaborators with Japan as per Roosevelt’s earlier instructions. Ickes threatens that if this is not done soon, relief and rehabilitation funds for the Philippines might be withheld. The telegram pushes Osmeña to speed up passage of a bill to create the People’s Court to conduct trials. 3 September 1945. Advance elements of the British occupation force arrive in Bangkok, commanded by Maj.-Gen. Geoffrey Evans. The Thai government is greatly disconcerted by reports that the force, charged with disarming and repatriating Japanese troops, is expected to number as many as 20,000, mainly Indian soldiers. 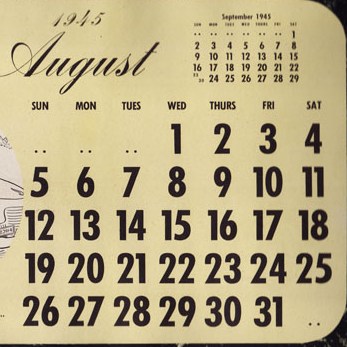 3 September 1945. General Yamashita Tomoyuki and Admiral Denshichi Okochi formally surrender their forces at Camp John Hay, Baguio. Ranking officers of the U.S. Army attend, including General Jonathan Wainwright (who surrendered Corregidor in 1942). No Filipino representatives are present nor did any attend the previous day’s signing of the surrender documents at Tokyo Bay. 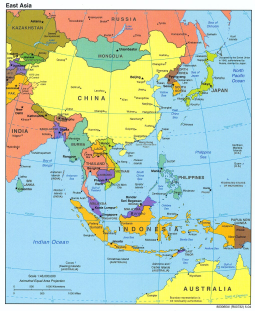 Surrenders of Japanese forces in other parts of the Philippines will take place over the following weeks (though it will be decades before the last Japanese holdouts emerge from hiding). Japanese soldiers are interned in prison camps, while civilians are gradually repatriated to Japan. Many officers and others accused of war crimes are held for investigation and trial while others are expected to be sent back to Japan.